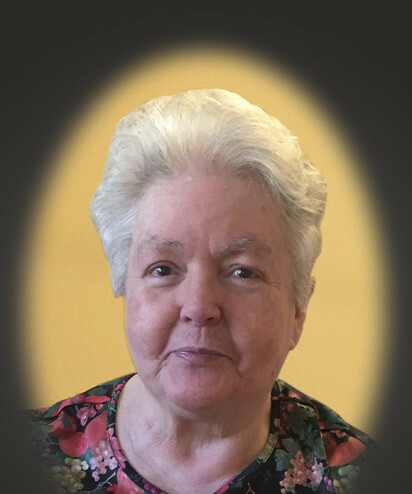 Shirley Faye Vaughn, age 82, of Douglas, Georgia passed away on Monday August 20, 2018 at Candler Hospital, Savannah, Georgia following an extended illness. Mrs. Vaughn was born on October 2, 1935 in Coffee County, Georgia the daughter to the late George Hill, Sr. and Lucy Moore Hill. Mrs. Vaughn was a homemaker and a member of Jowers Chapel Holiness Baptist Church. She was preceded in death by two brothers, George Hill, Jr. and Bill Hill. Survivors include her husband, Ausie Morris “Buddy” Vaughn of Douglas, GA; two daughters, Donna Childre and husband Greg of Douglas, GA and Vicki Nugent and husband Robin, Sr. of Pearson, GA; son Andy Vaughn and wife Carole of Douglas, GA; nine grandchildren, Vaughn Childre and wife Jill, Anna Laura Lentz and husband Kurt, Candace Mizell and husband Eric, Crystal Nugent Morris and husband Bud, Robin Nugent, Jr, Cammie Jo Nugent, Melissa Moree and husband William, Tyler Vaughn and wife Lindsey and Andrea Vaughn; eleven great grandchildren; two brothers, Bobby Hill and Tommy Hill; three sisters, Betty Day and husband J.Y., Diane Wooten and husband Jimmy and Mary Ann Highsmith; several nieces and nephews. Funeral services will be held on Thursday August 23, 2018 at 4:00pm at Jowers Chapel Holiness Baptist Church with Rev. Howard Holt officiating and Raymond Musgrove giving the eulogy. Interment to follow at Stokesville Church Cemetery. The family will receive friends Wednesday evening from 6:00pm to 9:00pm at Sims Funeral Home. Pallbearers will be Vaughn Childre, Kurt Lentz, Eric Mizell, Bud Morris, Robin Nugent, Jr, William Moree, Tyler Vaughn and Dade Mizell. Honorary pallbearers will be staff from Vista Park and Jowers Chapel Ladies; Musical selections by Bonnie Musgrove, Brandon Musgrove, Vanese Musgrove and Faye Adams singing “Sheltered in the Arms of God” and “Take My Hand, Precious Lord” with Bonnie Musgrove on piano. Bonnie Musgrove will also play prelude and postlude music.